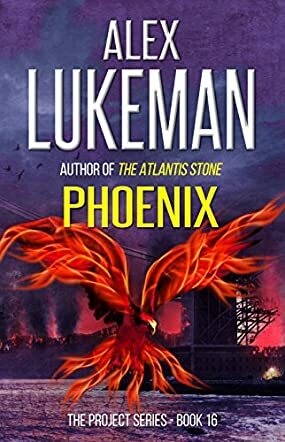 Phoenix by Alex Lukeman is a political thriller that features first-class intrigue, betrayal, and a plot structure that echoes the ingenuity of Sidney Sheldon. The narrative begins with the catastrophic collision at sea of a U.S. Navy missile destroyer with a Chinese freighter. Director Elizabeth Harker of the Project is charged by the President to investigate the incident, but unknown to her, someone right inside the White House is setting her up for failure and pulling strings that are deadlier than anyone could imagine. Meanwhile an evil genius is manipulating the world powers — China, Russia, and America — into nuclear confrontation, using a supercomputer with artificial intelligence. The world is poised for nuclear war, and time is fast running out while the Project is headed for inevitable doom. Is there enough time to unmask the bad guys? You’ll be surprised at the whip-smart plotting, the intelligent building of characters, the ingenious handling of conflict, and the exceptionally good story structure. The story starts in the midst of action — it is intense — and from the very first page, you will be on the edge of your seat. The twists in the plot are not announced and this unpredictability constitutes one of the elements of the narrative that make it irresistible. Alex Lukeman’s writing is top-notch and the descriptive prose reflects the author’s ease and confidence in writing. The story is infused with a rare sense of realism and even when AI computers do battle, it feels real. Phoenix is a stellar thriller with huge potential to entertain fans of the genre. It’s absorbing with the chapters well crafted to literally push readers onto the next page. You won’t be able to resist it.